Finished level 2, this is where our alliance will finish. How do you tell what action you need to do for point? I read that this one is arena but I'll be darned if I can't find that in game. While the new AI using the best attack instead of random is nice. All it leads to is close to draw fights and makes the first attack the deciding factor in many. Good for producers if you spend gems to reset your time delay but I refuse to spend gems for arena delays. Another thing is that with the current advantage pure has due to lack of primal dragons, anyone using pure in arena has huge advantage with new AI balancing. On the Alliance Chest page is says 'win battles in arenas to reach the next level of the chest' at the top left, above the 5 descriptions of the chest levels. We made a good effort and finished on level 2. Hopefully they will have something more interesting for the next chest, I am not that keen on the Arenas, they are just sooooo boring. But a good effort from the team none the less. Has anyone completed Level 3, 4 or 5 of the Alliance Chest Reward? @Pounawea, will there be a Feedback Survey about this? Wow I wonder how much that cost them, I often wonder why people spend more than they will get out of it. Is it that important to get bragging rights? Probably not much, some people there breathe and eat dragon city every day. @Nynaevelan i'm sorry for asking you like this, but, are you looking for new members? i think i've won around 1400 or more points for my teams. i want a stable and progressive team. I wasn't really look but I do have openings. What level are you, how many dragons do you have?? Though I will say if you are bringing in 1400 I would be willing to take you. Lol, it’ll crash the servers. @Charlene-Clark No, I am thinking I am stuck with the name. Although now there is a warning that pops up telling you that once changed it is changed for good. When I changed mine, I got no warning. A few days later, I was adding my granddaughter to our alliance and got the pop up on her account. @Nynaevelan level 66, hatched 281 dragons, many in storage (space issues), i'm missing only two heroics, as i missed one race, and all of them are level 20 or higher. high entity is training - all the others are trained. three are being ranked. highest are level 32. how serious am i? i won high snow. and high celestial. 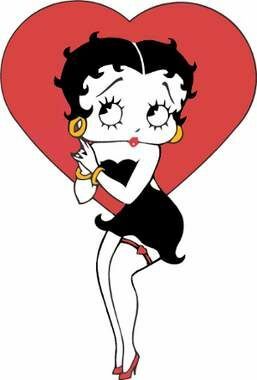 sorry for not answering sooner, i was away. tell me the name of your group, or contact me through chat. i see that another event started and i'm groupless. A new alliance chest event started today,March 6, 2018. 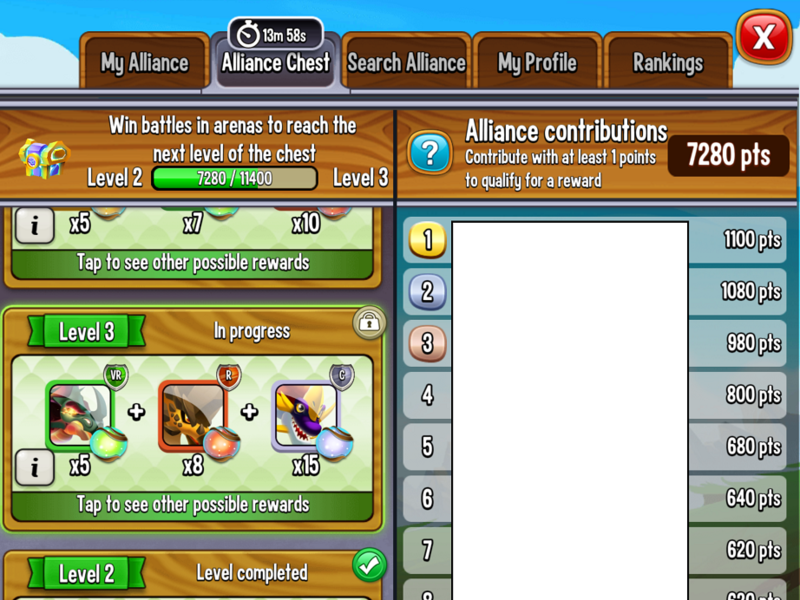 I fought 7 battles or more in the arena and won them all but it was not credited towards my alliance chests. I am currently in Freespirit Heros alliance. 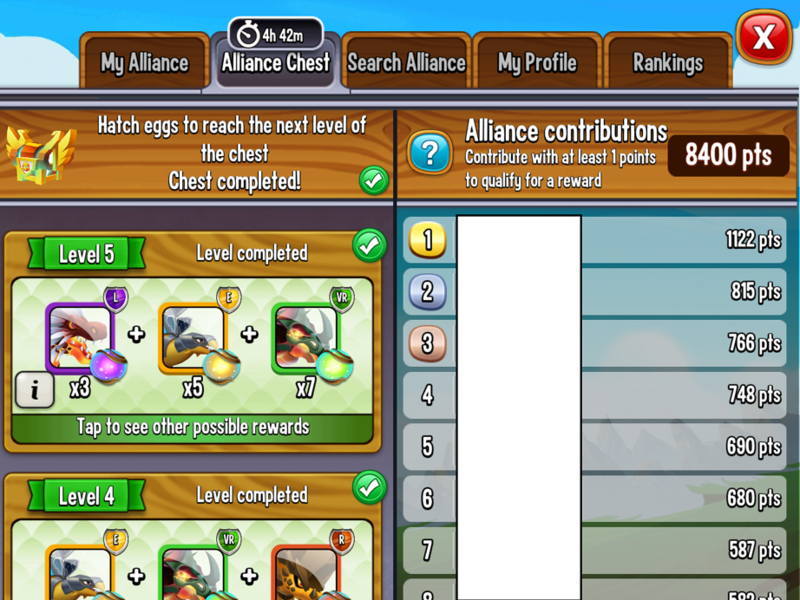 I just spent 50 dollars to purchase gems to play this game,I would really appreciate if you are able to solve the dilemma and credit my points toward my alliance chest. Thank you. For this evenr we need to do hatching. It's different this time. Look on the alliance chest page, it says what to work at at the top left. Good thing you mentioned a new event, I had not checked it. 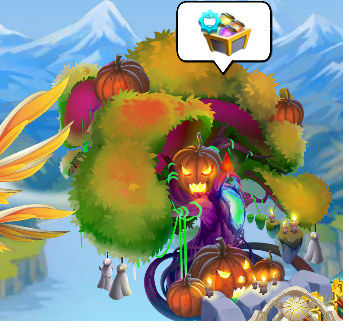 I see the island has changed so I guess I better pay attention to that to see if a new event started. Got 230 points for hatching a Millenium. Now going to test if I can hatch on fb but get the points in the Alliance. And of course a hatching alliance chest starts and my wizards do not work, @Pounawea are they turned off on purpose by SP? EDIT: Yay they are working now. I did not see what level 2 required but level 3 is 2600 points and level 4 is 4800 points. It helped to have many accounts with eggs waiting to hatch. luckily I found another and we are almost reaching level 4. Our Alliance is now doing Level 5, requiring 8400 points. IF you have an alliance with all members helping, this event is easier than the previous one. it's necessary only 2 L dragons per member to reach level 5.
btw, does anyone know how the points are counted? It's rarity or hatching time the calculation basis? I started trying to figure it out but unfortunately the storm knocked out my power and I had not saved my notes. But it didn't look sensible to me. At first I thought it was specific points per rarity but I had some of the same rarity getting more points than others so I think it was by rarity as well as number of elements. Or perhaps I am completely wrong and it had to do with the hatching times. But I had numbers ranging from 15 for commons to 115 for legends. The next time this one comes around I will see if I can get consistent results based on hatching times. With that said we barely made it to the end, especially when for some reason old eggs were not showing up on the hatchery so I couldn't use my wizards. I also think about the dragon category, maybe the junction of all these elements. yeah it happened with me too. Some eggs are invisible on pc version so was necessary to pay with gems. Not me, in fact I got all new orbs so still not able to summon anything. And the thing that really has me fuming mad right now is I got a similar number of orbs for my level 5 chest that I received for my level 2 chest. If the range of cells are going to be in the same range what is the point of doing these tasks? Thank goodness I did not pay any gems or I would really be pissed. I am so disgusted with this game right now. Now off to the breeding topic to rant about the Goofy dragon not being on same and no joker in the combo so no tries for the remade Ironheart dragon for me. 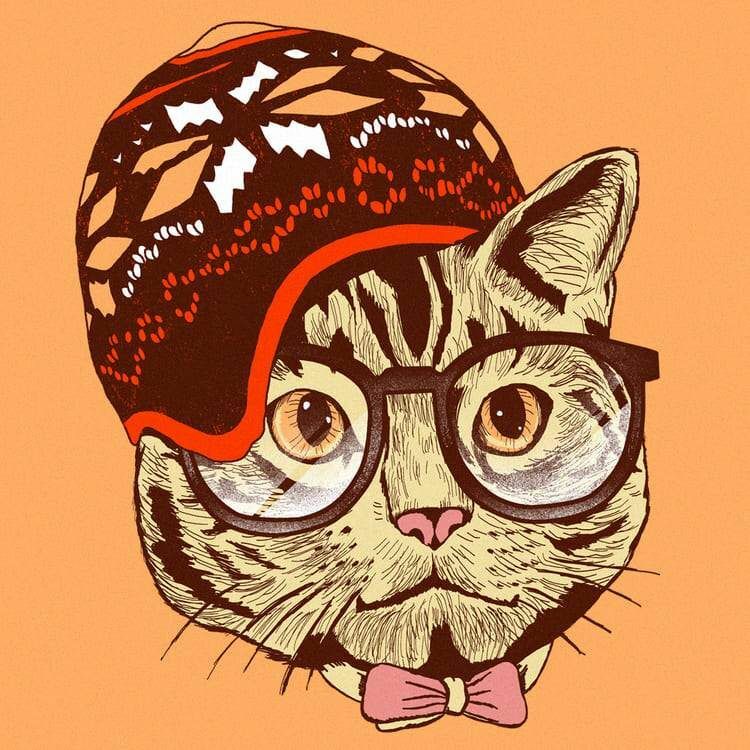 @terrencedg Hi, my Facebook ID is : ********** , i am facing some problems . First of all game is not showing my correct dragon points , while it should be more than 20000 , it is stuck on 366 . it doesn't go down when i sell a dragon or doesn't go up when i hatch and feed a dragon. Second problem is very old : My breeding sanctuary always gives me error whenever i try to activate it. 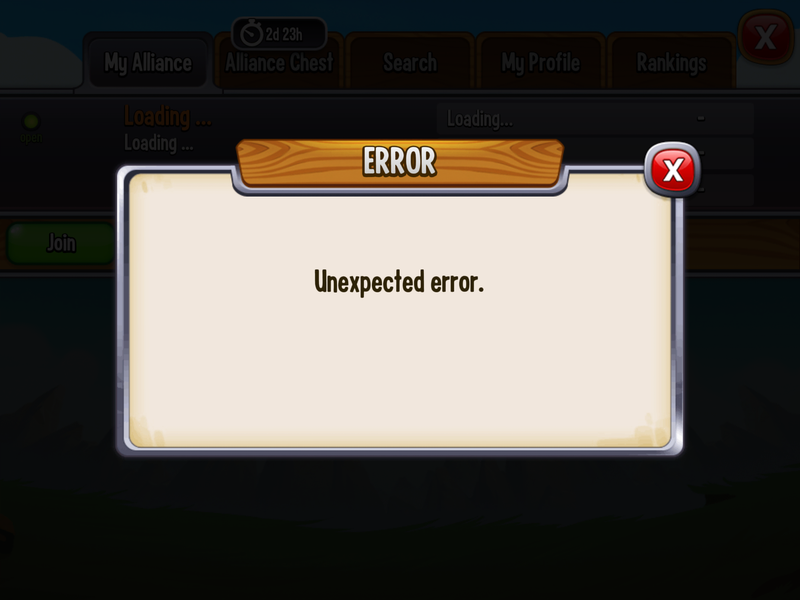 Third and most recent problem is : I cannot join or create an alliance. Whenever i try to do that , it gives me an error saying that "You are not allowed to do this action"
Please help me , i also wrote to support a few days ago but still no reply or resolution. Thanks. @Ranjeet-Singh Please be careful with posting your user I’d in public forums or to others on the forum. Also, the forums are mostly player maintained. While SP does have Community Managers that occasionally read the boards, the Moderators are clearly marked as Moderators. If there is no moderator title, then the person you are responding to is just another gamer like yourself. Any update on trying to join an Alliance, or just their still working on it? I play on my iphone and deleted the game and reinstalled and reset my apps is their anything setting wise that might just be the issue or might FB have anything to do with the issue either? Have you sent in a ticket? I think they are still working on it but I suggest you send a ticket anyway. I am anticipating one also but didn't the first two start at a later time than regular events? I am not sure because I noticed them both late. Any guesses as to what the requirements will be, I am hoping not farms since I have none ready or much gold to farm. I'm also trying to anticipating the next chest, 2 very long breeds almost done and all wizards ready. Food prepared. Yeah I was thinking the same thing, I was figuring that the chests would not be getting much input during the races. FYI is it me but it seems like my gold intake is not as much as it should be. I do not know if that is because I am collecting less or if there have been re-balancing without us knowing. Hmm I will need to look at my dragons and see if they are still getting the boost. We really do need more crystals, we 12 islands and only 4 crystals per element they really are not going as far as they used to. I think they should give a new function to crystals. Example: buy the water crystal, put it on your islands and all the water dragons will be boosted, no matter the distance. and we could upgrade the crystal to increase the boost percent. a new alliance chest has started! Breeding hmmm let's see how many points I can get for all my waiting eggs. Ugh the connection errors again. I wonder if I should wait to hatch my eggs. I got that as well, a few times. 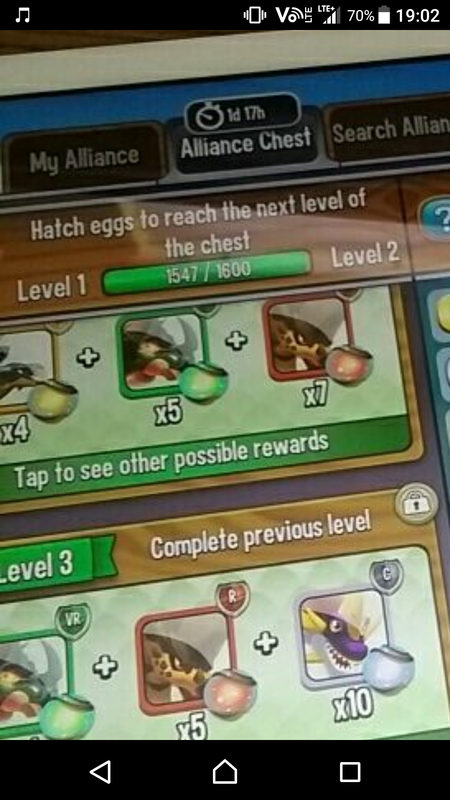 I emptied my breeders on fb with my wizards, does anyone know what the requirements are for level 1 of the breeding chest?